Named after a great Swedish choir conductor, ERIC is the no-compromise statement power amplifier by Lars Engström. Created to drive even the toughest loads, it's a fully balanced and transformer-coupled, all the way from input to output. ERIC uses separate power supplies for input and output stages and DC filaments. 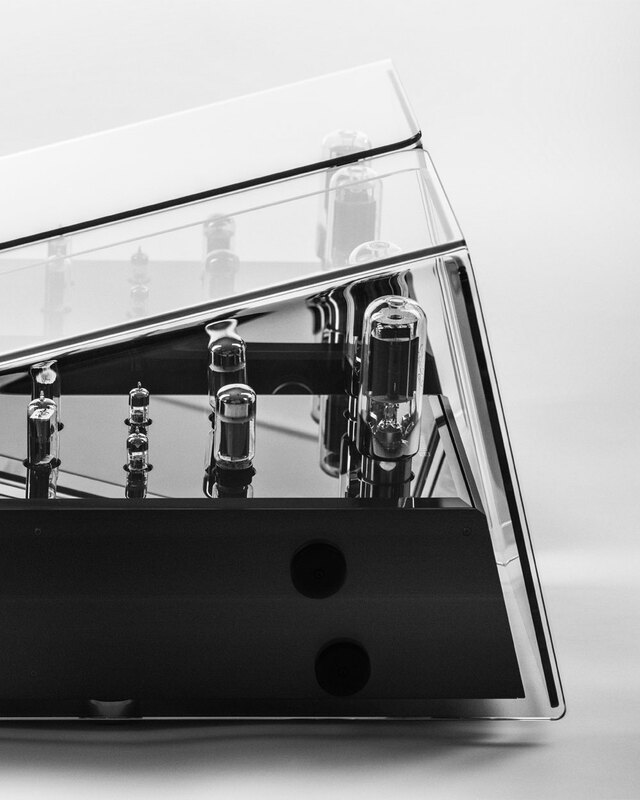 Weighing in at 65kg per monoblock, it is an industry heavyweight in both size and sound. ERIC is a fully balanced design with transformer coupling. No capacitors in the signal path except cathode decoupling. The power tubes are T-100 from KR. These are a modern version of 845 with oxide cathode instead of tungsten cathode. Driver tubes are 6L6GC in triode connection. Gain tubes are EC8010 a frame grid tube with high gain and low inner resistance. 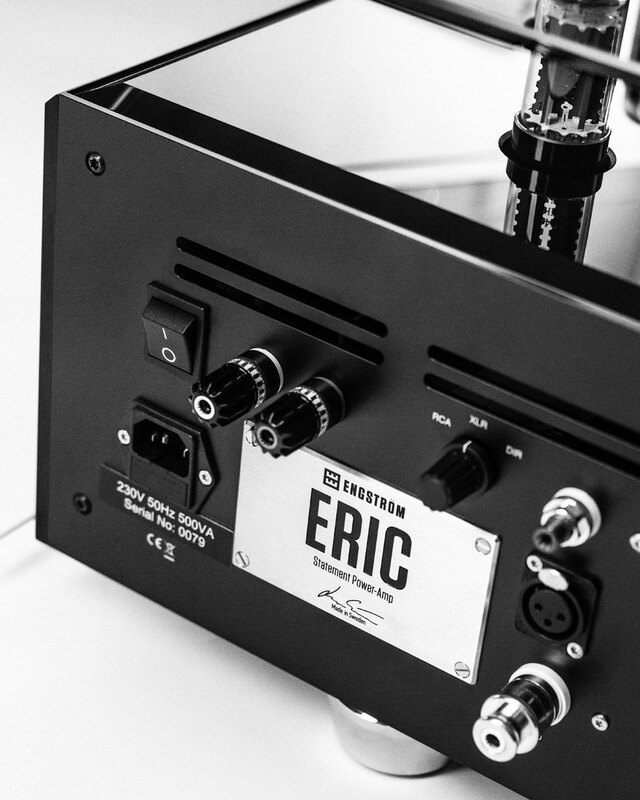 One special goal with ERIC was to create a more powerful amplifier to drive even the toughest loads. It’s a fully balanced and transformer coupled power amp, all the way from input to output.